Kabul— I am Guljan. I am 21 and I have three children and I have had very bad experiences during pregnancy. We don’t have money to visit private hospitals in Takhar where I live so we usually go to public ones. In public hospitals doctors behave with patients in an awful way. Personally I don’t want any more children, but my husband wants one after another. I don’t know what he is going to do with all these children. I grew up in a large family and I married into a large family. I don’t know about condoms or birth control or other stuff. I just keep delivering children. It seems in our neighborhood families usually have 12 to 13 children. They don’t care about other things, they just want their dinner table to be filled with children and that’s all. In families where the husband has more wives they’ll have even more. If they expect 13 from one wife then more from other wives, the number will be more than 25. If the baby is a boy or girl, for myself it does not matter, but for men, they keep saying it should be boy. Unfortunately my children are all girls. It absolutely matters to my in-laws. They only want a boy and that’s all. I hated visiting doctors for the delivery. They do not behave in a good way. They expect people to give them money or have a reference before they take care of patients. They don’t care if you live or not, or if you deliver your child on your own. By Guljan as told to Zohra N.
Than you, Guljan, for sharing your life experience with us. I have to imagine that you and other women feel like baby-making machines! To feel that way must be very hard–and to not know if you will have good care during pregnancy and delivery, even harder. I am wishing you and sisters excellent health, and the chance to decide for yourselves when and if you wish to add to your families. 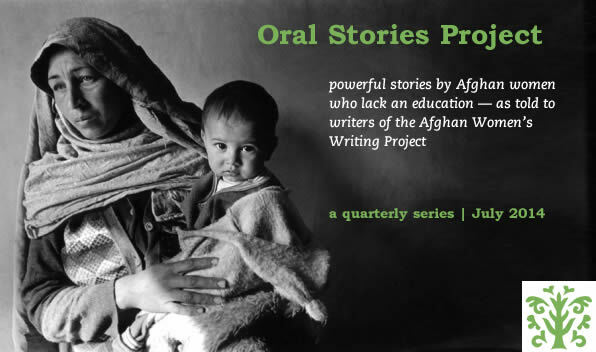 Thank you, Zohra N, for helping Guljan tell her story. This story, and the others, are so enlightening. I’m thinking while I’m reading how much I’m grateful to have insight into a world for women that I would not otherwise know. My heart and mind are open to hearing and to praying for compassion and equality for all. Guljan, thank you, for allowing me to refocus on what is important in life. Thank you Zohra. I am sending you lots of mother love and strength. My daughter is a year older than you are, but she is still a carefree child. She is free to get an education, travel, and find out who she is and what she wants out of life. She doesn’t even have a boyfriend- she says that she doesn’t have time for one now. My point is this: you have had to grow up very fast. You are a mother and responsible for caring for three girls. Please love your daughters and teach them that they are valuable and powerful. Try to educate your daughters and encourage them to be free. Many intelligent people who study the social situation in Afghanistan say that the most important element for the future of Afghanistan is the women. If women fight for their daughters to have a better life than they have, the future situation of women will improve. When the situation of women improves, the situation for all of society improves. Please do what you can for the future well-being of your country. All my best wishes are with you. Hello, Guljan — I hope that sharing your anguish with others somehow makes it a little less painful. Please know that we do care about you and wish life could be easier for you. I hope that someday it is.